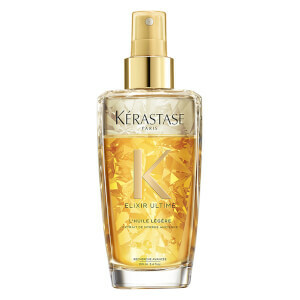 Restore your hair's natural beauty and radiance with Kérastase Elixir Ultime Rose Hair Oil, a luxurious hair oil treatment infused with a cocktail of beneficial ingredients to enhance shine and colour. The beautifying hair oil contains a blend of Imperial and White Tea extracts with Camellia and Marula Oils to deeply nourish tresses while amplifying colour radiance, smoothing fibres and providing heat protection up to 230°C. Lending hair a silky soft feel, the leave-in treatment will add shine and tackle frizz for visibly healthy-looking strands. 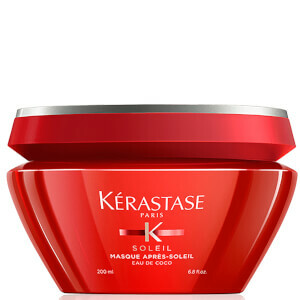 Bestows hair with an alluring fragrance and mirror-like radiance. Suitable for application on both wet and dry hair. 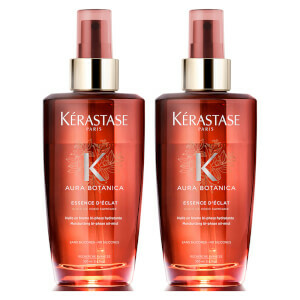 Apply 1 or 2 pumps on dry or wet hair as a leave-in treatment. Start from mid-lengths and work to ends. Style as normal. Cyclopentasiloxane, Dimethiconol, Zea Mays Germ Oil / Corn Germ Oil, Argania Spinosa Kernel Oil, Sclerocarya Birrea Seed Oil, Camellia Oleifera Seed Oil, Pentaclethra Macroloba Seed Oil, Benzyl Salicylate, Hexyl Cinnamal, Benzyl Alcohol, Linalool, Limonene, Caprylic/Capric Triglyceride, Citronellol, Geraniol, Hydroxycitronellal, Coumarin, Tocopherol, Camellia Sinensis Leaf Extract, Parfum / Fragrance. Just use one small pump of this fragrant oil on just washed hair. 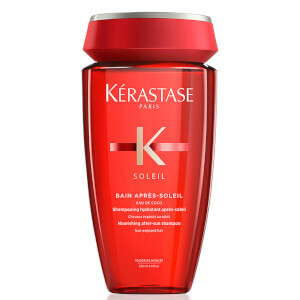 Protects from heat damage and leaves hair feeling soft and silky but not greasy. Expensive but I can see it will last ages. Excellent product. I ordered this product after having it used on my hair at my salon after getting a balyage. It smells incredible and leaves hair soft and shiny, really allowing all the colours in your hair to stand out. I was going to buy it in the salon but it was so expensive! I looked online and lookfantastic has the best price on the internet. I ordered this late on friday evening and received it saturday morning! I am blown away by how quickly I received the product, especially on a weekend, and all at a very affordable price! will be using lookfantastic again when I next need a top up!